And a little (well, a lot) of magic. 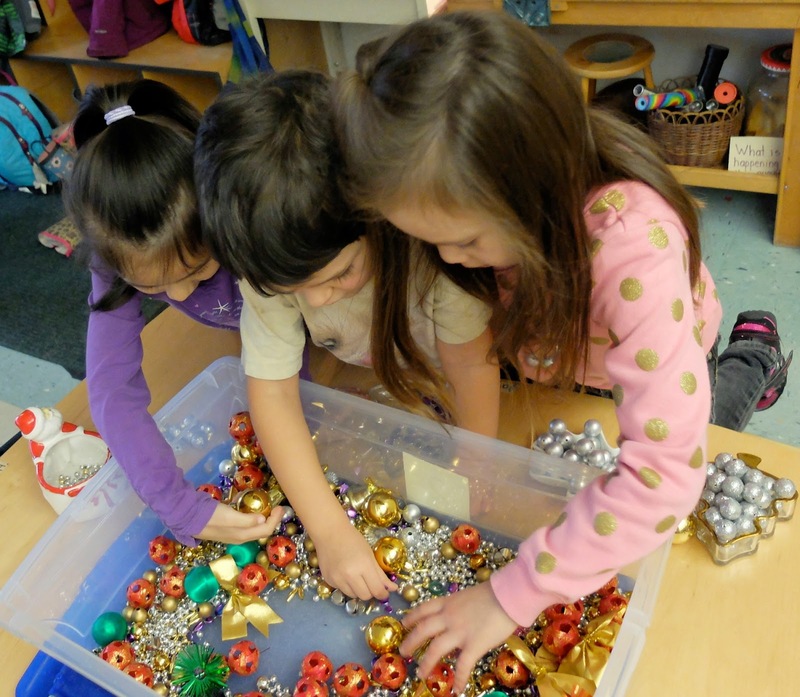 So, what do you put in a Christmas sensory bin? Sparkle - and a little bit of magic. 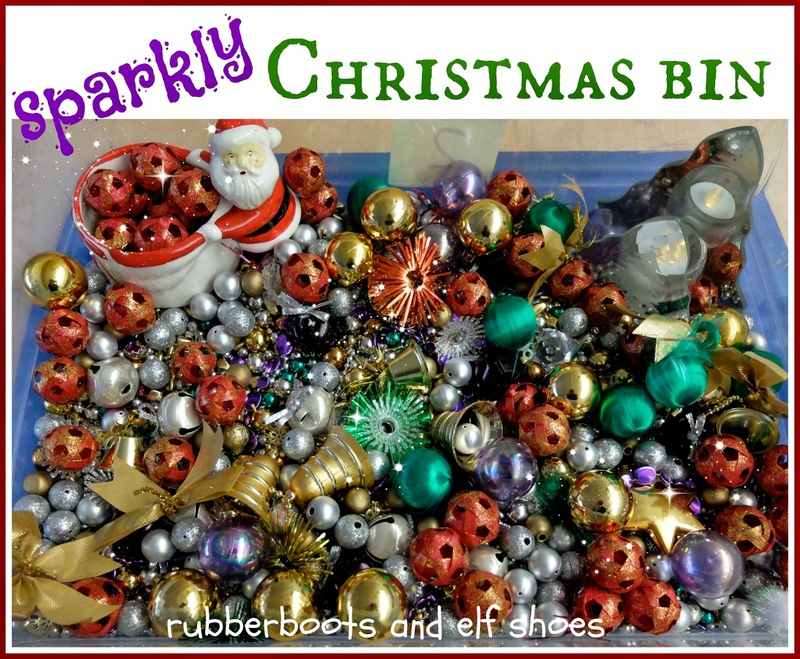 The real story is that I had no idea what to put in a Christmas sensory bin. Did not want a "winter" look. Did not want a Santa's workshop small world. 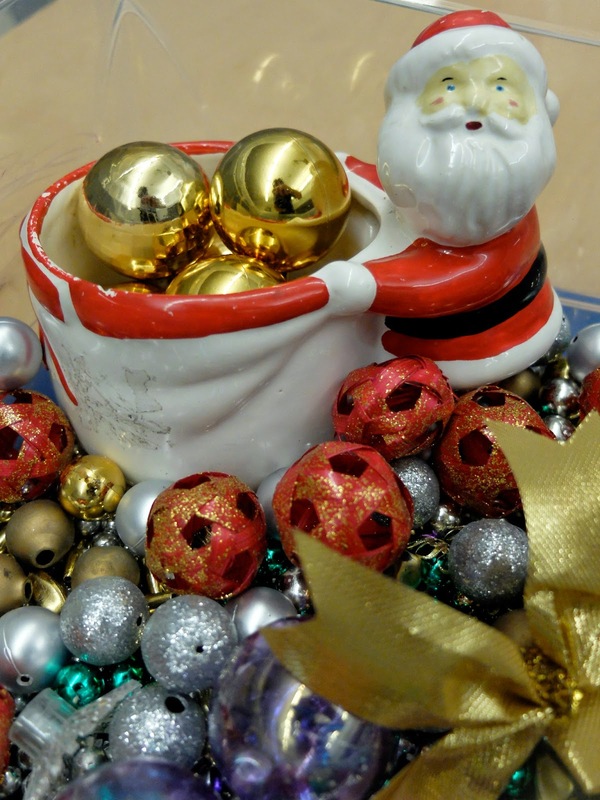 Teach at a public school, so no nativity scenes. 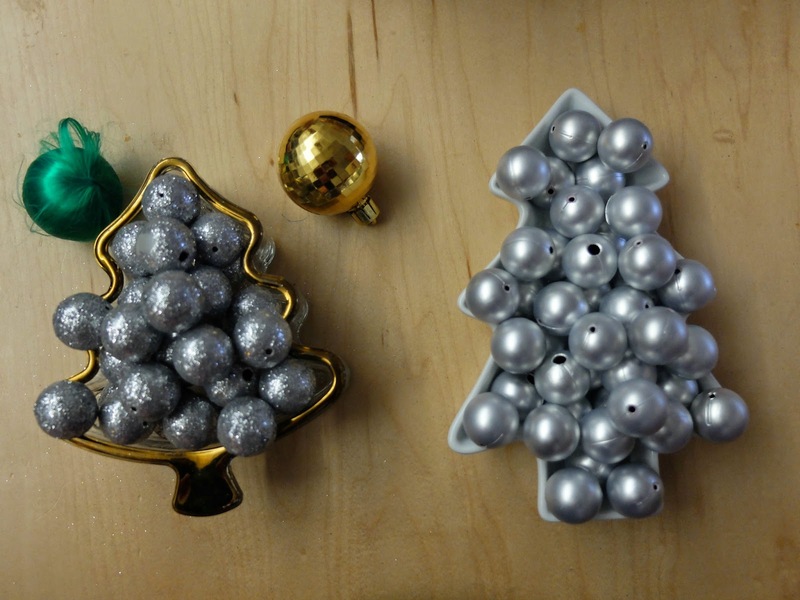 I had some small Christmas ornaments - so they got thrown into a bin. 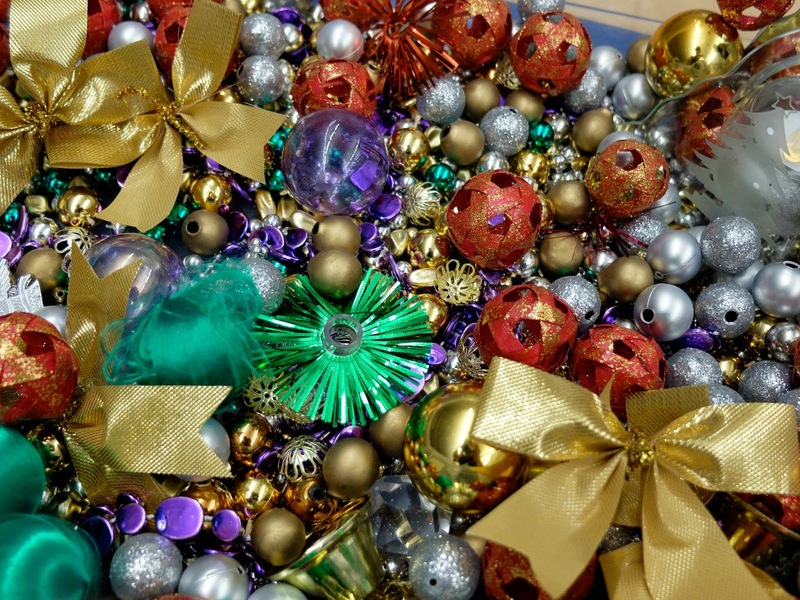 Then some garland with bigger beads got cut up and added. The theme was born. 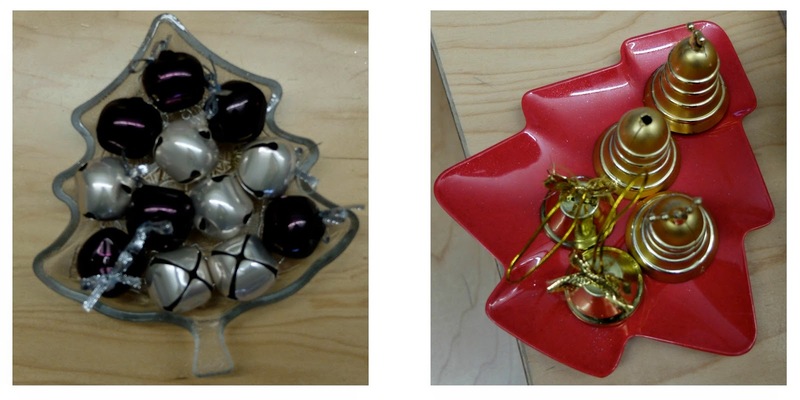 Shiny, Christmas-y, round(ish) and from the thrift shop (or super cheap). 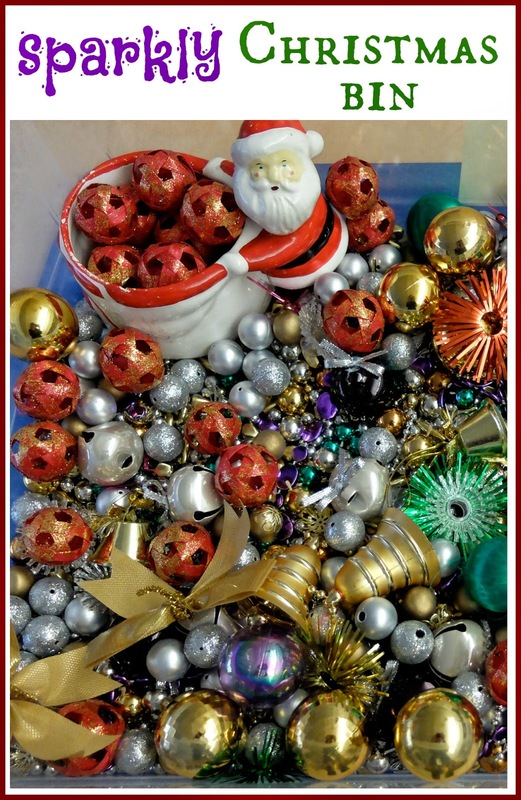 The thrift shop provided Santa. 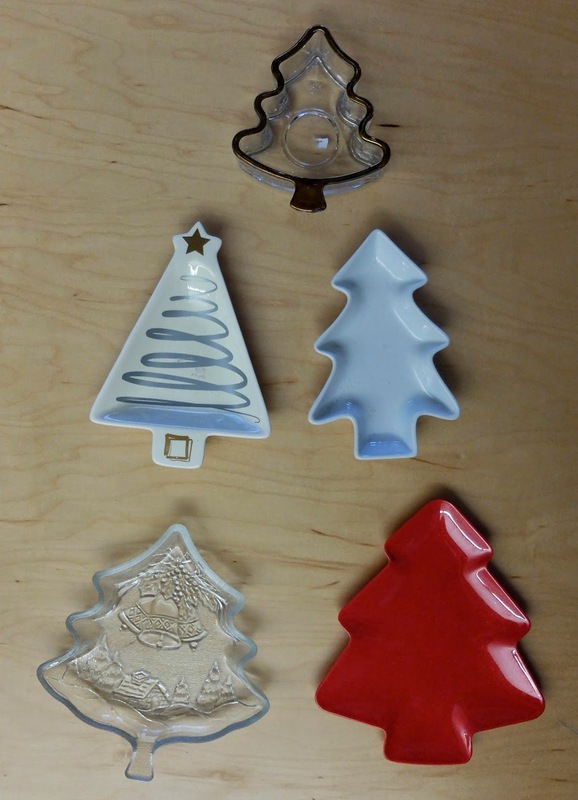 And an assortment of Christmas trees. and adding the brand of magic that only young children can to the celebrations of Christmas. Thank you. This one truly is just full of thrift shop treasures.